Dmitry Medvedev, the Russian president, has attacked the European Union for seeking to forge closer relations with former Soviet states. A summit between the EU and Russia designed to promote closer ties failed to disguise a widening rift. Divisions over a new EU partnership with six ex-Soviet states is complicating a drive by Barack Obama, the US president, to seek reconciliation with Moscow. 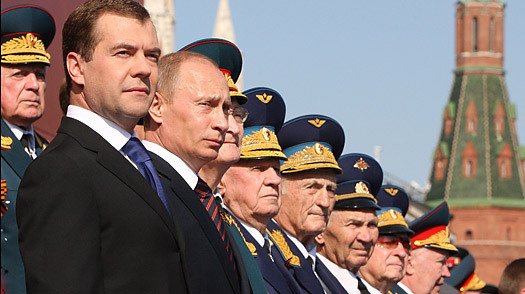 Highlighting the most visible area of discord, Mr Medvedev claimed it was anti-Russian in its makeup. “We tried to convince ourselves that it was otherwise but in the end we couldn’t,” he said. The EU held its first summit with Ukraine, Georgia, Belarus, Moldova, Armenia and Azerbaijan, the six members of the Eastern Partnership, earlier this month. The project meant to provide aid and support to boost to ex-Soviet nations on Europe’s periphery. But the partnership has been denounced in Moscow as a contravention of the “Medvedev Doctrine”, laid out by the president last year, which claims that Russia has privileged interests in all former Soviet states. Jose Manuel Barosso, the president of the European Commission, sought to alleviate Mr Medvedev’s concerns by inviting Russia to participate in the partnership, but the offer is likely to be rebuffed. Mr Medvedev also gave warning of the possibility of a new European gas crisis by claiming that Ukraine may be unable to meet its payments for Russian energy. Millions of Europeans were left without heating in January after Moscow cut off gas to Ukraine, which acts as a conduit for 80 per cent of Russian supplies bound for the EU, over a politically-tinged payment dispute. Russia could deploy its latest Iskander missiles close to Poland if plans to install U.S. Patriots on Polish soil go ahead, Interfax quoted a senior Russian officer as saying on Thursday. Polish Deputy Defense Minister Stanislaw Komorowski told Reuters on Monday Warsaw wanted U.S. Patriot air defense missiles to be deployed this year regardless of whether President Barack Obama decided to press ahead with missile defense plans in Europe. Moscow strongly opposes the missile shield proposed by Obama’s predecessor George W. Bush, which aims to place a radar in the Czech Republic and interceptor missiles in Poland. Russia says the shield is a threat to its security. “Patriot systems, if they are deployed, will cover future work on installing a unit of the U.S. strategic air defense system with interceptor missiles in Poland,” Interfax news agency quoted an unidentified member of Russia’s general staff as saying. He said Russia had proposed as a counter-measure “to deploy the tactical Iskander missile in the Kaliningrad region,” which borders NATO member Poland, in response to deployment of the U.S. missile shield, Interfax reported. “One cannot exclude that the issue of the Iskander will arise again,” he added. 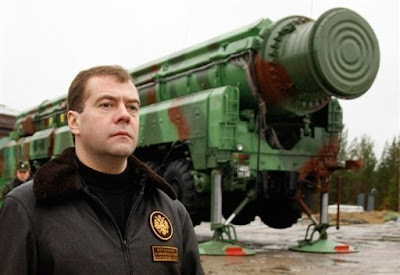 Russian President Dmitry Medvedev pledged last November to station surface-to-surface Iskander missiles in Kaliningrad if the United States went ahead with its plans. The story below and the report referred to are likely to create a political fire-storm as the Russians have long stated an intention of pressuring Obama to kill the missile defense planned for Europe…..
Russia’s leaders are getting used to cutting budgets this year. As the country sinks deeper into recession — unemployment, according to some estimates, is as high as 12% and the economy is predicted to shrink by about 4.5% in 2009 — the government is slashing spending at most of its ministries. The Energy Ministry’s budget is down by 33%, and that of the Transport Ministry by 30%. But there is one hugely expensive project on which President Dmitri Medvedev has vowed to actually increase spending: transforming Russia’s creaking Soviet-era defense industry into a modern technological power, and turning the 1.1-million-man Russian army into a leaner but more effective fighting force.